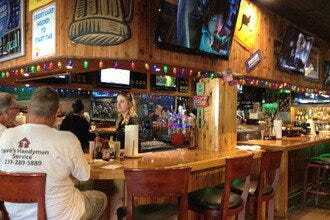 This Midwest chain opened its first Florida bar and restaurant in Naples summer 2014. 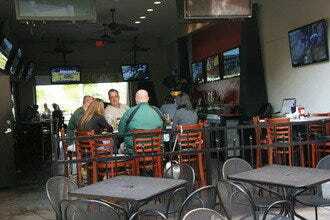 With vast dining areas indoors and out, it exudes a happy bar-fly atmosphere, where the game is on everywhere you look. 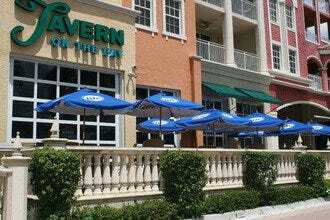 Like so many restaurants these days, it touts its selection of craft beers, plus pours nearly 20 drafts, including a local Ft. Myers Brewing beer. Rusty Bucket offers one of those menus that makes you wonder how they can possibly cover so many bases with any proficiency. It seems to succeed, nonetheless, in creating all the American favorites from wings and hand-pattied burgers to pizza, meatloaf and steak and ale. 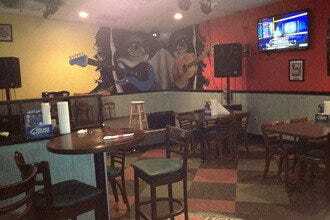 Sports Bars: "Try the local craft beers from the Fort Myers Brewing Company." 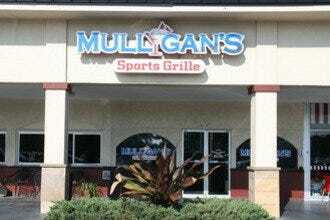 Best for Sports Bars Because: Although dining is a primary focus, the indoor-outdoor bar also is a natural magnet for sports fans.